Lift, volume and length – the holy trinity of show-stopping eyes. One 45-minute treatment promises to deliver all three, without the need for extensions or falsies. Intrigued? We don’t blame you! If you’ve always desired Bambi-like lengths, but the maintenance isn’t your thing and you’re fed up with grappling with an eyelash curler every morning, it’s time to look into Lash Lifts. Your fabulous flutter will begin with your therapist removing any makeup and oils from your eyes, before placing a soft fabric guard over your lower lashes to keep them out of the way. A small silicon shield will then be put on each of your lids close to the lash line, and your lashes will gently be lifted up and pressed onto the shield. A lifting gel is then applied to the roots of the lashes and left on to set. After 10 minutes, the gel is removed and a neutralising solution is applied. Finally, a tint is applied to give your peepers extra pow, followed by a conditioning serum to coax your lashes off the silicon pad. One final comb through later and you have achieved perfect lashes from the moment you wake up. You can choose from three levels of lift – small, medium or large, depending on how much drama you’re after. Your flutter will last for around six weeks – perfect for a special event, holiday or big night out. If you have sparse lashes and are looking for a dramatically longer and fuller look, you may get on better with extensions or LashDip. Unlike a traditional lash perm, lash lifts and LVL Lashes straighten your natural lashes at the root to create the appearance of longer, thicker lashes. 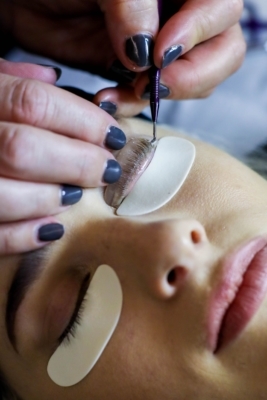 This may sound scary, but it actually uses a milder solution than eyelash perming and the flat eyelid shields are designed with your comfort in mind. At Kensington SkinCare we are experts in advanced skin and body care. Our highly trainedin house beauty teamis familiar with nonsurgical 3D lifting facials from Meder Beauty and Elemis Skincare. New on our Treatment Menu are the Hollywood Carbon Peel Facial, the Hydrafacial and the NeoStrata BodyWrap. Working with the latest cutting edge technology from Biotec for fast and efficient permanent pain-free hair removal, makes us unique, not just in Chelsea. Call us today to arrange a free consultation about all your Beauty needs & goals. At KSC in Hollywood Road, we can make it happen.